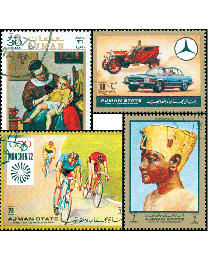 Ajman was a small independent emirate on the coast of the Persian Gulf. 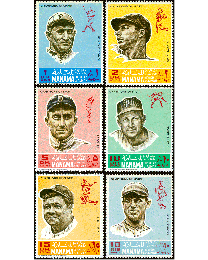 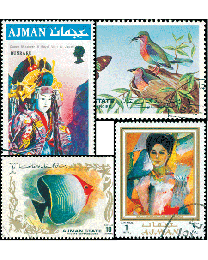 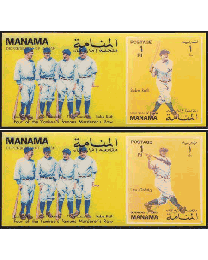 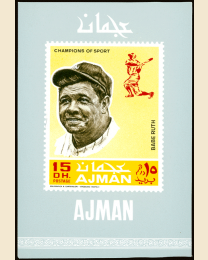 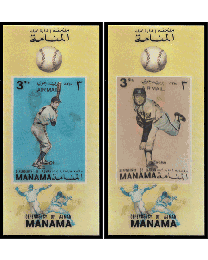 In the 1960s and early 1970s Ajman issued many large and colorful stamps on popular topics such as space, sports and art at a time when few postal administrations were issuing topical stamps. 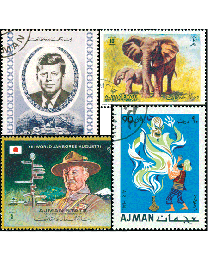 These forerunners to today's topical issues are widely collected today, and are listed in European stamp catalogs, and brief listings are found in the Scott catalogs. 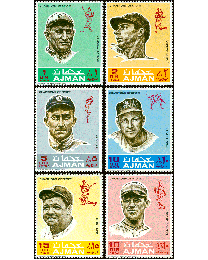 In 1972, Ajman, Fujeira, Khor Fakkan, Manama, Ras al Khaima, Sharjah and Umm al Qiwain joined to form the United Arab Emirates, one of the richest and fastest growing nations in the world.